Mold growing in your home can cost you a great deal of time, attention and money. In addition, exposure to mold can adversely affect your health. How you react depends on several factors, namely the amount of mold you’re exposed to, the species of mold and your own state of health and sensitivity. Everyone will have a different reaction. However, all reactions, minor or major, warrant immediate attention and action. If you’re worried about the health effects of mold, contact a certified inspector to inspect your home for mold. The sooner you do, the closer you will be to finding relief. What are allergenic reactions to mold? What are pathogenic reactions to mold? What are toxigenic reactions to mold? Is mold linked to asthma in children? Most molds are allergenic. But while many people can handle a little bit of mold exposure, others are born sensitive and will experience allergic reactions. 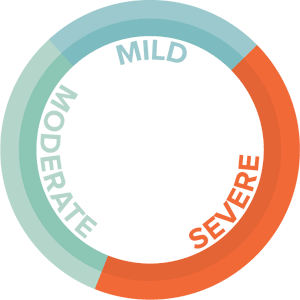 Allergic reactions, ranging from mild to severe, are the most common symptoms associated with mold exposure. Superficial: Superficial reactions are the most common pathogenic reactions to mold and include skin infections, nail infections and athlete’s foot. Subcutaneous: When you experience a subcutaneous pathogenic reaction, more serious than superficial, an infection develops underneath the skin. Systemic: Systemic reactions are the most severe of the pathogenic reactions and can be life threatening. 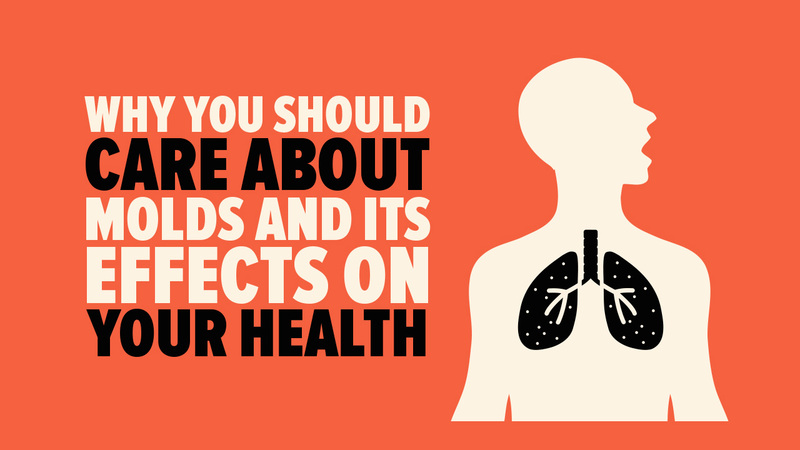 The mold attacks the kidneys, lungs, liver or other organs. 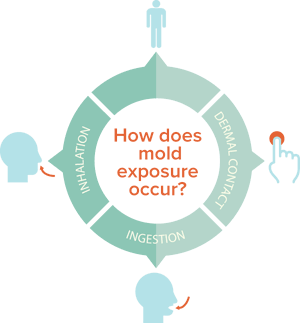 A toxigenic mold produces toxins. There are approximately 20 common toxins that mold is known to produce. Another serious condition associated with mold exposure is hypersensitive pneumonitis. This is an acute, or chronic, lung disease brought on by inhaling fungal antigens. How do you become exposed to mold? We come into contact with mold in primarily three ways: inhaling, touching, and ingesting mold. Because mold spores are so small, they easily make their way into our lungs, where they may trigger anything from a mild allergic reaction to a serious respiratory condition. Who is most at risk of mold exposure? We come into contact with mold in three primary ways: inhalation, physical contact or ingestion. But every reaction to mold is different, as no two immune systems are the same. Some people are more sensitive to mold than others. Both your genetic makeup and your current state of health are factors that will influence your reaction. If you’ve been experiencing some of these symptoms and are concerned, call Mold Busters to schedule a mold inspection. Who’s at greater risk of mold exposure? Some people are more sensitive to mold, whether this is because of their genetic makeup or the current state of their health. Individuals with already-compromised immune systems; infants and small children; the elderly; and asthmatics are especially susceptible to the adverse health effects of mold exposure. Remember that reactions to mold are uniquely individual, since no two immune systems are alike. How does mold impact our health? As mentioned above, some types of mold (the toxic type, to be precise) produce mycotoxins – nasty little spores that cannot be seen without a special equipment. For example, one often found toxic type of mold is the infamous black mold. In most cases, mold spores will weaken your immune system enough that you become vulnerable to many diseases. How much of a harmful effect mold will have on your health will mainly depend on the time spend in mold presence. The longer you live inside a moldy house and breathe in mold spores, the greater the risk for you and, of course, your loved ones. Ensuring that your home stays mold free is one of the best ways to prevent diseases and infections such as tuberculosis. Sneezing. Nasal congestion. Coughing fits. Watery eyes. Anyone who suffers from seasonal allergies knows how irritating they can be. If there’s a lot of pollen in the air, you may be troubled even leaving the house without a box of tissues in hand. Seasonal allergies, otherwise known as hay fever, trigger all sorts of unpleasantries. 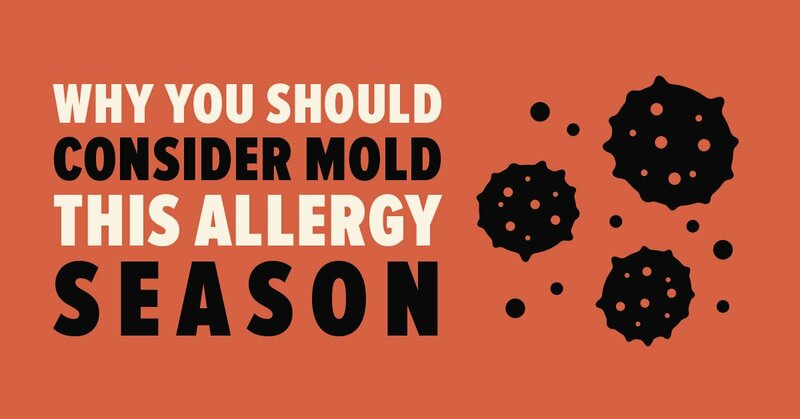 Before you spend a fortune on pills or strap a dust mask on outdoors, consider mold—yes, mold—and the possibility that what you think are symptoms of seasonal allergies could, in fact, be symptoms of mold exposure, either indoors or out. Bear in mind that no two reactions to mold are exactly the same. Your reaction will depend on the frequency or duration of your exposure and your sensitivity to mold. Some people are born sensitive, while others are more susceptible because they are either elderly, very young, or they have a weak immune system at the time of exposure. Because symptoms of mold exposure and symptoms of seasonal allergies are so similar, many people mistaken one for the other. This is problematic because mold spores can be hazardous. Exposure to potentially toxic black mold spores can be life threatening even—especially over time. Is there a history of flooding? Are there any visible signs of mold? Besides symptoms of exposure, a history of flooding, discoloured walls or building materials or musty odours are all tell-tales signs of a mold problem. Ask your doctor for his or her opinion on the matter. Explain your symptoms and perhaps take an allergy test. You must first get to the root of the real problem to receive effective and long-lasting relief. How to prevent mold allergies? Similar to hay fever, poor ventilation in your indoor space will trigger allergies if there’s existing mold. Ensure your home is properly ventilated to alleviate symptoms. Frequently clean your floors, preferably with a HEPA vacuum. These are just a few measures you can take to improve the air flow and prevent indoor air pollutants from accumulating. Besides alleviating your mold allergies, why not completely eliminate them? Preventing mold from developing in the first place is the absolute best way to avoid mold allergies and the fungal growth’s many other negative effects. To do so, control moisture and the relative humidity indoors. If it’s too late for preventative measures, and it’s already developed, quickly have it removed. If you don’t, not only will your symptoms persist but they may develop into more serious and long-term respiratory troubles. Don’t forget that you’re not likely the only one affected by mold exposure in your home, even if you’re the only one exhibiting symptoms. Everyone reacts differently but nobody is immune or safe from its adverse health effects. The dangers associated with mold exposure and inhaling mold spores have been common knowledge to the public for many years now. Mold releases toxic spores that are damaging to human health when inhaled for a prolonged period of time. For example, they can contribute to or worsen asthma symptoms. There are thousands of different species of mold, and some are more harmful than others. 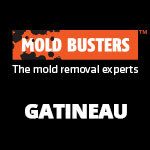 The most harmful strand of mold is Stachybotrys chartarum, also known as black mold. Some of the most common symptoms of black mold exposure are shortness of breath, sneezing, coughing, skin irritation, red or itchy eyes, wheezing and respiratory complications and infections (in more severe cases). Recently, a study confirmed a link between mold and childhood onset of asthma. A strong link between mold exposure and asthma in children is a significant cause for concern. Having your home inspected for mold by a professional can determine whether or not it’s hiding and reduce the chance of future outbreaks. Many times, homeowners are not even aware of existing mold problems in their homes because mold can hide behind walls and ceilings, underneath carpets and in other places that are difficult to reach. A mold outbreak in the lower levels of your home, such as in your basement, can negatively impact your health. Mold spores linger in the air and can travel throughout your entire home in ventilation systems and air vents, putting you and your family at risk. A professional mold inspection will provide an assessment of your home’s indoor air quality, letting you know about potential threats and problems and reducing the chance of future mold outbreaks. Create a healthy and safe environment for you and your family by helping reduce the chance of black mold growth. How to cure mold related asthma symptoms? If you’ve ever experienced the effects of the persistent and hazardous micro-organism called mold, then you already know how unpleasant and debilitating these effects can be. 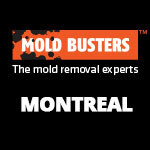 The very first step in doing away with your symptoms is to find the source of the mold growth and the have it removed. In most cases, mold problems can be traced back to some sort of moisture problem since water is the leading factor contributing to fungal growth. So, begin with detecting the problematic areas in your home. These areas most often include the kitchen sink, leaking toilets, condensation around windows and cracks in the foundation. Also keep an eye on areas that are poorly insulation and more humid. In some cases, areas that are contaminated with mold are easily identified – they’re unsightly, attract dust and release unpleasant odours. Once you’ve identified them, the next step is fixing them in an efficient manner. Unless you are lucky enough to possess specialized equipment and knowledge of proper mold remediation procedures, your best option is calling a team of mold removal experts. 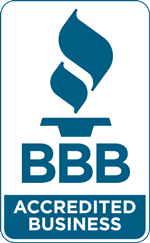 Not only are they well equipped with all the latest equipment, but they also have years of first-hand experience dealing with all types of mold problems. They’ll be able to pinpoint with certainty the source of the mold contamination and plan for a strategic remediation. Also, they’ll ultimately be able to minimize your risk of future mold growth. Another advantage of hiring mold cleaning professionals is that they’re able to get the job done, without compromising your health and comfort. They implement safety and containment procedures throughout the entire duration of the mold remediation so that no one in the house is exposed to mold spores floating about in the air. Once the mold removal project is complete, the experts will let you know what steps you can take to maintain a healthy and mold-free home. They may suggest you look into installing a proper ventilation, new windows or replace the insulation. By being aware and staying informed about how to control moisture and air flow in your house, you could play a major part in improving the quality of the air you breath. Nasal congestion, otherwise known as a stuffy nose, can happen to you regardless of whether or not you have allergies. Often, a stuffed up nose can be the result of a cold, the flu or dry air and shouldn’t be a cause for concern. However, if you notice recurring and persistent nasal congestion, particularly at night, then there may be something in your environment that’s causing your body to react this way. One of the most common reasons for a stuffy nose is mold, and if you experience this repeatedly over a long period of time, you likely have a mold problem somewhere in your house – one that should be remediated as soon as possible. Dry air. The nose acts as a filter, preparing the air you’ve just inhaled for your lungs. At times, the process is hindered by various factors such as changes in humidity levels. When there is an inadequate amount of humidity in the air, the nasal membranes cannot produce enough mucous. 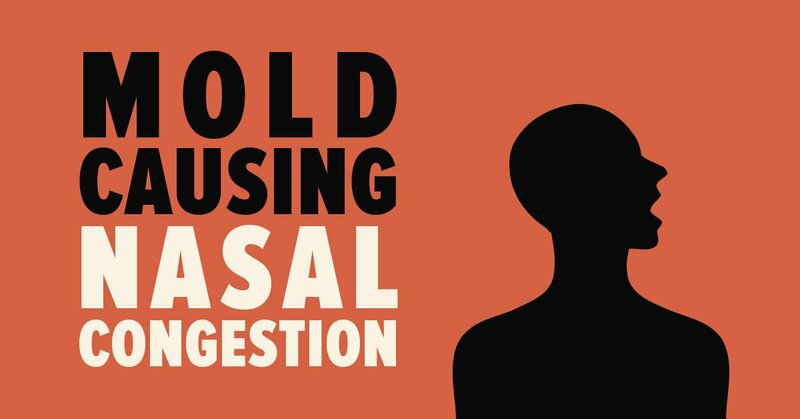 The nasal passages can then dry out and suffer from irritation and swelling. Since we breathe deeper when we sleep, nasal congestion is amplified at night. Allergies. Allergies are another cause of night-time stuffiness. You may experience an allergic reaction to a certain type of laundry detergent or it may occur when your face comes into contact with the sheets or pillowcase you sleep on. If your allergies or breathing difficulties appear only at night, you may be allergic to the material or stuffing in your pillow. Alternatively, you may be allergic to mold, which can grow behind your walls or in your carpets without you having any knowledge of it. Such allergens cause an influx of histamines, which often lead to a stuffy nose. Nasal decongestants in the form of sprays and tablets can help relieve a stuffy nose. However, these are only temporary fixes and should not be used too often as they can become addictive. In fact, nasal sprays can actually damage your nasal passages if used in excess. A humidifier can also help reduce stuffiness by adding moisture to the air and promoting mucous production. If you are still having persistent stuffy nose, you should contact your doctor or another medical professional. Despite recent progress and advances in medicine, tuberculosis (TB) is still not a disease of the past. In Canada alone around 1 600 new cases of tuberculosis are reported each year. On March 24 this year, the Ontario Lung Association stated that tuberculosis remains a serious public health concern in Ontario, with one-third of all cases in 2009 occurring primarily in the Greater Toronto Area. How are mold exposure and tuberculosis related? Each of these types can have a different impact on your health, from a simple skin rash to breathing issues and even cancer. Which symptoms you will experience (if any) depends mainly on your immune system. But, even the strongest immune systems can weaken with time if it is continuously expose to mold. Especially to Pathogenic and Toxigenic types of mold. Tuberculosis is one of the possible mold effect you can experience and we can blame the toxic type of mold for that. Toxic mold spores often produce mycotoxins that threaten your health and make you vulnerable to diseases, like the above mentioned tuberculosis. 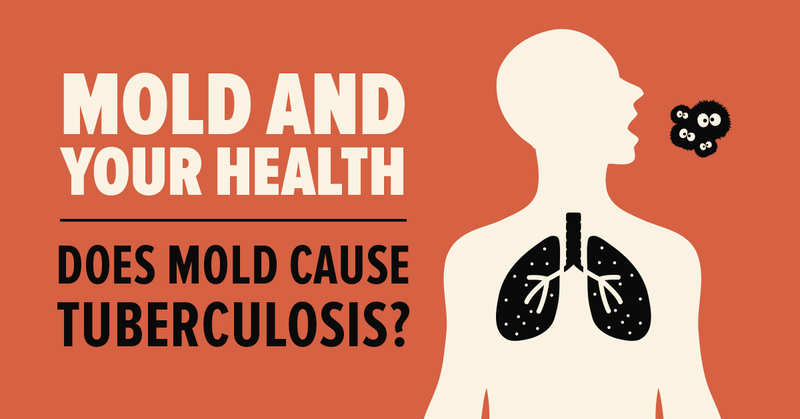 At Mold Busters, we often get asked whether mold can cause tuberculosis, given that it has such a profound effect on the respiratory system. No… at least not directly. Although mold itself cannot cause tuberculosis, it does weaken people’s immune systems, making them more vulnerable to infections. Once your immune systems stops working full-time, you shouldn’t worry about tuberculosis only, but many other infections, mold related or not. People who spend a substantial amount of time in areas with poor air quality are at greater risk of mold exposure and are, therefore, more susceptible to allergic, bacterial and viral infections due to weakened immune systems. 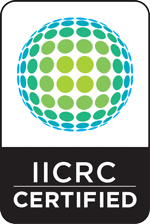 Statistics show that people in isolated or minority communities (i.e. the homeless, aboriginal people and immigrants) face higher rates of infection, likely due to poor living conditions that cause prolonged exposure to mold and poor air quality. The saying goes “better safe than sorry” for a reason. Many things, including mold, can be prevented from making a harmful impact on your health by following a few simple steps. Most of them can be done on a daily basis, without interrupting any other daily habits. First of all, fresh air is your weapon in the fight against mold. It will lower the humidity level (one of the main mold causes) and dry wet surfaces such as walls, windows, curtains, etc. Try to keep your windows open as often as possible, especially in rooms such as the kitchen and bathroom. In case there are no windows, or if it’s too cold outside, your next best weapon are air vents, and even dehumidifiers if the humidity level is extremely high. Secondly, you have to ensure your house is clean, because dust, spoiled food, and any similar dirt are mold’s favorite food. Of course, it doesn’t mean you should be obsessed with cleaning, but things like washing the dishes every day, cleaning the excess water after the shower and vacuuming at least once a week will do the job. And last but not least, if mold is already present in your home, there is little you can do on your own. In that case it is best to call professionals to test and confirm the mold type after which they will give you information about the remediation process and future prevention. 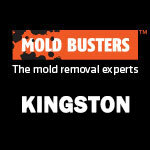 If you’d like to get in touch with a professional mold inspector, contact Mold Busters. 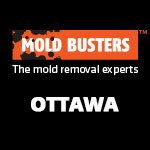 We provide all-inclusive mold testing, inspection and removal services at affordable prices.